I am pretty sure the life of a food blogger is just a constant blur of holidays. Not that I have anything against Cinco de Mayo! I big puffy heart Cinco de Mayo. I will take any excuse to drink frosty margaritas, enjoy some guac and chips, and eat any and all things deliciously Mexican. I got to get some tasty Cinco de Mayo recipes out to you all... like now! Cinco de Mayo is literally just a little over a week away! By now, those of you who have been following me long enough already know how much I love breaking out my slow cooker. I swear that I am washing that thing at least 3 times a week. If you are not familiar with chipotles in adobo, you should be able to find them in the Mexican/ethnic aisle of your local grocery store. 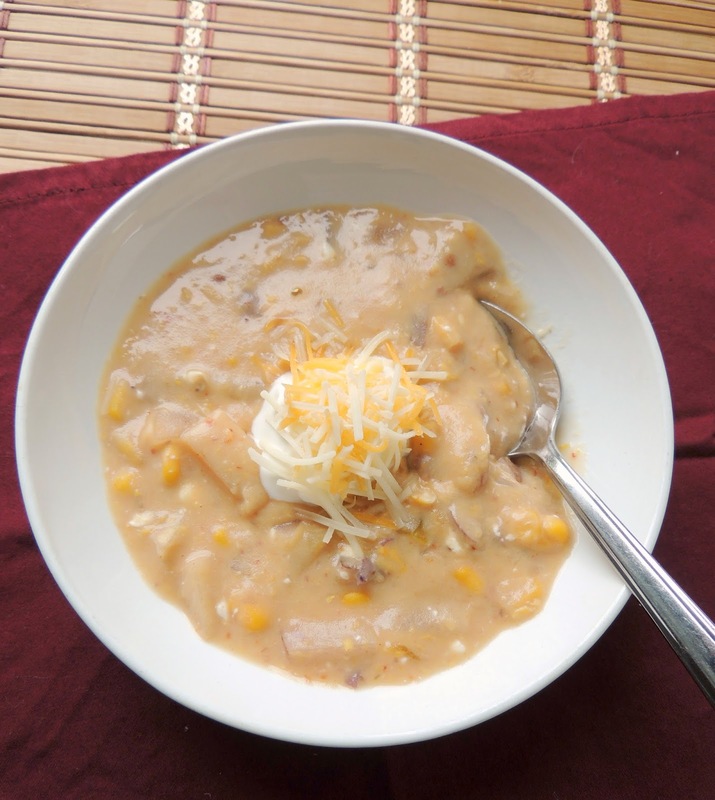 Mix together all the ingredients through the frozen corn in a 6 quart slow cooker. Cook on high for 5-6 hours, stirring occasionally if possible. Taste the soup and add in salt and pepper as needed. Mix in the cream cheese and slow cook for an additional 30 minutes. Give it the soup a quick stir again to make sure the cream cheese is well incorporated. 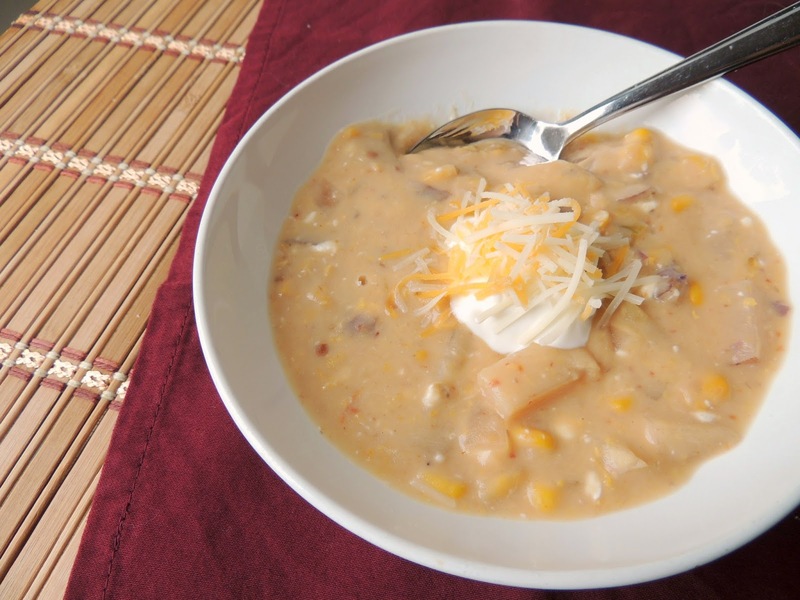 Ladle into bowls & top with sour cream and shredded cheese, if desired.